Officials at the California state college system have filed a sweeping defense of its appeal for $31 million from CIRM to train thousands of persons to work in the stem cell industry. The California state university system as well as the California community college system advanced the proposal at the August meeting of the CIRM Oversight Committee, whose members raised a series of questions. Supporters of the plan compiled a detailed, 24-page response, outlining the need for training a diverse workforce and citing CIRM's own strategic plan in support. The response and the proposal are up for consideration Wednesday at the Oversight Committee meeting in San Diego. As such things go at the California stem cell agency, it was a fairly technical meeting. No great issues, no wrestling with egg donation matters or criteria for giving away $200 million. The subject was the application procedures for laboratory construction grants. The audience was the men and women who must fill out the complex documents – "interested parties," as they are called. But the conference-call session on Sept. 21 has some implications for CIRM and its goals of educating the public about its activities as well as stem cell research in general(mentioned by incoming CIRM president Alan Trounson on Sept. 24). "(The) 'interested parties' meeting was a valuable session allowing potential applicants to ask specific questions about the application process. CIRM needs to do whatever it can to engage as many people who are affected by their decisions in the process as possible. "California is a big state and CIRM needs to use technology to promote involvement. So far as I know this was the first conference call where participants were invited to phone in directly themselves. Usually CIRM teleconferences have required a participant to go to a particular site created for the convenience of an ICOC board member to be involved. "(The) dial-in from wherever an interested party was located worked great. It was well worth the cost and can serve as a model for future sessions. "CIRM should put itself on the cutting edge where it claims to be and tap technology to a greater extent. For instance, it should broadcast all ICOC(Oversight Committee) meetings and (other) committee meetings on the Internet. Many city councils around the state have already figured out how to do this. CIRM and the ICOC need to get with the times. They should even consider a page on Facebook and Myspace that links back to CIRM's own website." A $25 million proposal to develop new lines of pluripotent human stem cells, including ones that do not require the use of human embryos or eggs, will come before the Oversight Committee of the California stem cell agency next week in San Diego. The plan calls for as many as 16 research grants for periods of three years. Funding could come as early as next spring with the release of RFAs as early as this fall. "The ability to derive pluripotent stem cells from new sources will enable scientists to generate disease-specific and genotype-specific cells of many phenotypes. Such cells have great value for drug discovery and understanding specific disease mechanisms. Importantly, methods that will not require the donation or use of either human embryos or eggs will significantly reduce the moral and ethical concerns that surround methods currently in use. Finally, new methods of producing pluripotent stem cells will be particularly important because it may be difficult to obtain excess embryos from many racial groups. "• the discovery and implementation of alternative methods for generating pluripotent human cells"
"Awards will be made to support two areas of derivation: the generation of new human lines using excess embryos from in vitro fertilization, and derivations from other sources using new and novel methods." The California state treasurer's office has generated more publicity for the sale of the state's first-ever stem cell bonds next Thursday with at least one site urging San Franciscans to buy to support a local enterprise. "California is one week away from making the largest-ever investment in human embryonic stem cell research in the nation and, we believe, the world." "The $200 million investment will place California in the forefront of global research using human embryonic stem cells, considered by many experts to hold more potential to help develop treatments and cures for diseases than other types of human or animal stem cells. And it's just a fraction of the $3 billion in bonds authorized by Proposition 71. By contrast, the National Institute of Health since the 2002 fiscal year has funded a total of $131 million in human embryonic stem cell research." The total bond issue is for $250 million, but about $45-50 million will go to pay transaction costs and to retire the bond anticipation notes that were sold to private philanthropists to help fund the California stem cell agency while it battled legal challenges. CIRM must still repay the state for something like $150 million in loans that helped to provide interim financing. The agency has roughly $1 billion in current bonding capacity that it can use soon. The likelihood is that another big bond sale will come up early next year. Individual investors have until Oct. 3 to buy the bonds. They get first crack at them because of a new program that Lockyer started this year to make state bonds easily available to the general public. Minimum purchase is $5,000. The bond dividends are federally taxable but exempt from California state taxes. One would think that patient advocate groups might want to spread the word. The San Francisco Business Times put together a brief piece on Lockyer's reminder. Jim Christie of Reuters also wrote an article. A blog called Sam Spade's San Francisco, the city where CIRM is headquartered, said that the bonds are one of the "best places" for San Franciscans to make an investment. "The money you invest stays right here in San Francisco and is put to work funding the most cutting-edge medical research on the planet." So the California stem cell agency wants a little loan? Maybe not so little. Only a piddling $250 million. Then there is the lubricant to make the financial wheels turn smoothly. That's roughly another $1.6 million. That may seem like a lot but it is less than what CIRM estimated a little while back in its strategic plan. That document calculated bond issuance costs at roughly 0.08 percent of the bond amount. In other words, about $2 million for a $250 million bond sale. We asked Tom Dresslar, a spokesman for the state treasurer's office, which handles the bond sales, about the transaction costs of doing such business. He told us that final figures for the stem cell bond sale will not be available until after it takes place, he provided us with estimates of the costs on the October sale. "Various other costs comprise the balance." Obviously it would be cheaper to fund stem cell research straight from tax revenues, with no borrowing, because there would be no interest or transaction costs. But that would mean navigating – ANNUALLY -- the treacherous shoals of the legislature – not to mention the governor's office. And the research would have to compete against demands for money for schools, police, firefighters and much, much more. It doesn't take a political wizard to figure out who wins in that contest. More Openness Emerging at CIRM? The California stem cell agency has long concealed the identities of applicants for millions of dollars in grants even when the applicants are such public entities as the University of California. But there are signs of changing sentiment on CIRM's Oversight Committee. At the board's August meeting, some members indicated that they favored disclosing the names of institutional applicants for $222 million in lab grants and at least some portion of their applications. "Why could we not release the names of the applying institutions and the outlines of the proposals without actually opening up the actual review? I understand that in the review of the RFAs and within the meetings that there are comments made about strengths and weaknesses of individual investigators and teams and things that could affect people's careers, but the institutions and the outlines don't have any personal interest. " "I personally think that we have an opportunity here to have some more disclosure, that while protecting confidential information, proprietary information, personnel information of people that are being hired, etc." 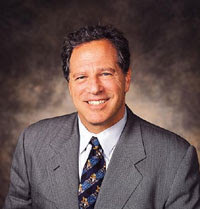 Later David Kessler, an Oversight Committee member and dean of the UC San Francisco School of Medicine, indicated he was sympathetic to providing the names and some information concerning the institutions' applications. Kessler made his comments after John M. Simpson, stem cell project director of the watch dog group, the Foundation for Taxpayer and Consumers Rights, noted that lab grant process has two steps. The first is a closed- door scientific review of applications from institutions, whose names are also secret. The second is public review of the actual construction proposal with the names disclosed. "...setting up a procedure by which, as I see it right now, you cannot risk the embarrassment of a university because it can't do science, but you can embarrass them because they don't know how to build a building. That just doesn't make sense. It doesn't serve the scientists, nor the architects, especially the public at large." Enviros Against Stem Cell Lab/Classroom Building -- An activist group and the city of Santa Cruz have blocked construction of an $80 million facility at UC Santa Cruz that would house stem cell research activities. A judge halted the project for environmental reasons. The four-story facility would include stem cell labs and service nearly 1,400-science students. Scientific Integrity – The California stem cell agency has based many of its policies and rules on assumptions of nearly universal scientific integrity. 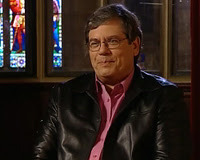 Glenn McGee(see photo), writing in The Scientist and on the blog of the American Journal of Bioethics, indirectly questions those assumptions. He cites studies that show widespread hanky-panky in the authorship of peer-reviewed pieces, particularly in cases where senior researchers claim authorship even when they are marginally involved. McGee also has suggestions for reform. Interestingly, the entry point for his article is a matter that figured in the controversy over approval of a California stem cell agency grant to a subsidiary of the CHA Health Systems of South Korea. Yolo Stem Cell Land Deal – Land developer Angelo Tsakopolous has shelved his land development deal that would have also established a stem cell research center in Northern California near UC Davis and Sacramento. Jeff Raimundo, a spokesman for Tsakopolous, told the California Stem Cell Report that the controversial proposal has been put off. California stem cell Chairman Robert Klein lobbied local government officials on behalf of the proposal, but they shied away from the effort. The concept of the plan was also supported by the International Stem Society for Stem Cell Research. Tsakopolous is a persistent man, however, and his proposal could well surface again in one form or another. Stem Cell Lab Grants – On Oct. 2, the California stem cell agency will consider rules concerning administration of $222 million in grants for stem cell lab construction. The Facilities Working Group will take up the proposal prior to consideration by the CIRM Oversight Committee the next day. NAS Stem Cell Meeting in California – Coming up Oct. 8-9 in Irvine, Ca., is a National Academy of Sciences conference called "Therapeutic Cloning: Where Do We Go From Here?" A host of top flight scientists are listed as speakers. The session will address such questions as sources of eggs and alternative methods of creating pluripotent cells. The new president of the California stem cell agency, Alan Trounson, is expressing a strong interest in engaging scientists elsewhere in the world and nation in the state's $3 billion research program, although he said such an effort may require funding from outside the agency. In response to questions from the California Stem Cell Report, the Australian scientist (see photo) elaborated via email on his statements at the time of his selection as the head of the world's largest single funding source for human embryonic stem cell research. Trounson had said his new assignment at CIRM provided an opportunity to engage internationally with other groups to avoid duplication of effort and speed development of cures. However, state law concerning CIRM requires virtually all of its efforts to be focused within California, requirements that earlier this year surfaced in connection with approval of a $2.6 million research grant to a non-profit, Los Angeles subsidiary of a South Korean organization, CHA Health Systems. "I would like to engage research groups working in other states and particular countries in collaborations with Californian scientists and clinicians. This might be achieved by having jointly funded workshops, study programs, scientific exchanges, research projects and clinical trials. I need to find out whether CIRM funds can be used in this way or whether we need to find other mechanisms to do this. The aim is to avoid duplication and accelerate the application of discoveries into the clinic - this is the primary outcome sought and needed by Californians." 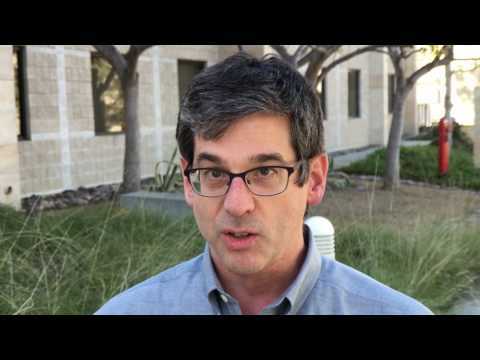 CSCR: What are the three greatest challenges facing you at CIRM? "3. Achieving a full comprehension by education, of the nature and potential benefits of stem cells throughout the whole community." CSCR: Working in California state government also means dealing with open records and open meeting laws which sometimes have given pause to others new to such requirements. What is your comfort level with such laws? Trounson: "Transparency is a simpler form of conducting an activity such as that involving the CIRM, where the entire community has an interest. I welcome the open format." CSCR: Other observations you feel are important? Supporters of human embryonic stem cell research have a chance to put their money where their rhetoric is early next month and help fund California's ambitious effort at pushing the field forward. On Oct. 4, the state of California has scheduled its first ever bond sale for the California stem cell agency – a $250 million proposition that individual investors would have been hard-pressed to take part in, at least until this year. State Treasurer Bill Lockyer, however, has set up a procedure to let smaller, individual investors buy California state bonds in the amounts that mom-and-pop investors are comfortable with. Typically in the past, institutional investors would buy huge chunks of state bonds, and the treasurer would not bother with what he regarded as nickel-and-dime sales, known officially as "retail" accounts. Buying the bonds does take a little homework, however. You must set up a brokerage account, if you do not already have one. You should also check with your broker soon to be sure he or she sure is on board and can send in the orders well ahead of Oct. 4. There are restrictions: You generally can't buy more than $1 million worth of the bonds without seeking permission from the state. You can read all the details and deadlines here. State bonds pay a dividend that will be determined later, but they can be described as undoubtedly a safer investment than putting money into a stem cell or biotech company. After all, California's millions of taxpayers stand behind the bonds. The California stem cell agency is preparing to take the first step towards setting up a loan program that would help to extend its life well beyond 10 years and solve some of the sticky problems associated with sharing the potential wealth created by its grants. The Oversight Committee for the $3 billion agency will meet Oct. 3 in San Diego to consider creation of a task force to develop a "biotech loan program." No details for the effort were available today on the CIRM web site, but the task force is likely to be similar to an intellectual property task force that drew up the standards for sharing potential gains from inventions that result from CIRM grants. We have discussed the concept of a loan program on a couple of occasions with the chairman of CIRM, Robert Klein(photo above). He told us that it would be one way to assure that funding continues for stem cell research for some time. The effort would do so by generating income from interest charged on the loans. Klein noted that it is imperative to begin the program soon in order to generate cash that could presumably be reinvested in additional loans and, we speculate, in other financial instruments. Intellectual property issues have bedeviled the grant program, generating controversy over the size of the state's potential royalties from stem cell inventions. Sharing-the-wealth questions are among the concerns that have surfaced in the California Legislature, and they are likely to surface again. Another contentious area revolves around sharing results of research with other scientists at low or no cost, a shibboleth of science. Profit-oriented researchers regard such requirements with skepticism. A loan program could erase many of these IP issues because the return to the state would come from repayment of the loan – not royalties -- although other conditions obviously could be attached to lending. A loan program also is linked to what is widely and wrongly believed to be the 10-year life span of the California stem cell program. No "sunset" provision exists in Prop. 71, although the 2004 debate about the ballot measure constantly referenced a 10-year period. The agency is limited to the issuance of $3 billion in bonds at a rate not to exceed $350 million a year, although it can carry over amounts not issued from year to year. In addition, CIRM enjoys a special status among state agencies. It can accept private funds, much as a nonprofit charity does, including those from fundraisers. The only other state department that we know of that has a similar capability is the Fair Political Practices Commission, another agency created by a ballot measure. There could be others, however. One possibility concerning financing for CIRM beyond 10 years could involve earmarking donations to the agency for loans to industry. How does the agency establish the credit-worthiness and perform due diligence on applicants? It has no expertise in this area. Presumably it would rely on outside contractors. But where does it find even an oversight staff for a lending and investment program that could run into hundreds of millions of dollars? The agency is limited by law to 50 employees. It currently has 26. Even at 50, some Oversight Committee members believe it will be understaffed for its existing programs. Contracting out such critical functions also involves difficult conflict-of interest questions, since outside firms do not have to file public statements of their economic interests. How does CIRM deal with defaults? Does it take a share of the company in return, which may be worth nothing or even less than nothing(i.e. loaded with unpayable debt)? Does it sue for payment? The biotech industry currently consists primarily of companies that are hard-pressed to maintain their own financial viability. Presumably those questions and many more will be addressed by the new biotech task force. Klein has had experience in creating and running state lending programs. He served for six years as a member of the board of the multi-billion dollar California Housing Financing Agency. Klein says he authored the legislation creating the agency when he was an aide in the legislature. Klein notes his own business, a real estate investment banking firm, has never obtained any financing from the housing agency. Because of his background, Klein is likely to be even more immersed in the loan program than he is in other agency matters, and will probably seek additional personal staff from the 50 allotted to the agency. Directors of the California stem cell agency always seem to have more than they can do in their meetings, and October's seems to be no exception. Creation of a new $122 million disease team effort and a biotech loan program (see above) that could give CIRM life in perpetuity are among the matters to be discussed in San Diego at the Oct. 3 meeting of the Oversight Committee. That is not to mention rules for the $222 million lab grant program and consideration of a concept for grants for development of new cell lines. Also on the agenda is creation of a Finance Subcommittee, which is likely to generate more work for Oversight Committee members, and may be linked to developing ways for funding CIRM after it runs out of its $3 billion in state bonds. The $30 million training proposal from California's state and community colleges is also up for discussion. Patient advocate Don Reed has written an interesting mini-profile of Stanford stem cell researcher Renee Reijo-Pera, chronicling her journey from secretarial chores and "not-so-good" college grades to her current position. Reijo-Pera (see photo) was one of six children and the first in her family to graduate from college, Reed reported on his blog, stemcellbattles.com. She studied business administration in college until her junior year, when she switched to sciences following an exposure to a human biology course aimed at non-science majors. She cited the influence of a particular instructor as providing the impetus, which makes one wonder about the emphasis on research to the neglect of teaching at many universities. All it takes is a handful of folks like Reijo-Pera to make a bigger difference than a wheelbarrow of research papers involving relative trivia, although I may be overstating the case a bit. Reed was leaving his interview with Reijo-Pera when he commented on the small size of the rooms in her research complex. "Little rooms, big dreams," she replied. "California has landed one of the biggest fish in the Pacific to head its stem cell venture." "'Things are booming in California right now,' says former CIRM President Zach Hall, who notes that Trounson's varied experience makes him "almost uniquely qualified for the job." "Trounson is one of several major stem cell scientists whom Australia has lost to the United States lately, including Martin Pera, now at the University of Southern California in Los Angeles, and Paul Simmons, now at the University of Texas, Houston. Trounson himself has made it clear he regards the CIRM presidency as the capstone of his career. "This is the biggest job in stem cells in the world," he told the Australian paper The Sunday Age." "Alan is a unique person, he has the administrative and person skills needed for this job. And, he's a top sciencetist. We are lucky to have him. Second, the spin doctors could not resist from speculating that the governance structure and Bob were some road block to selecting a President. Wrong. ... They were hoping for this to be the case, and it was not. We found someone who is truly amazing. Enough said. The sale of $250 million in California state bonds to finance human embryonic stem cell research has been postponed from Sept. 27 to Oct. 4 to see if market conditions improve, providing a "better deal" for the state's taxpayers. At this point, the delay looks like a pretty good move given the Federal Reserve Board's reduction in interest rates. The California Stem Cell Report Tuesday learned of the bond sale delay and queried the state treasurer's office, which handles the sale, about the reason. Spokesman Tom Dressler replied, "We made a determination that if we hung in for another week, market conditions would give us as better deal for taxpayers." What that means is that the bonds would require a lower interest rate to be sold to investors. And since the state must pay the interest, that translates to lower costs to taxpayers. Also on Tuesday, Fitch Ratings announced that it rated the bonds at "A+," which is below the top rating and the result of the state's continuing state financial problems. Coverage and commentary continued to roll out today on the appointment of Alan Trounson as the new president of the agency that is the world's single largest source of funding for human embryonic stem cell research. In the United States, one commentator who has been a strong critic of the California stem cell agency said Trounson "certainly brings a lot to the table." In Australia, California stem cell Chairman Robert Klein was quoted as saying he envisions "an air bridge from Australia to California." "(Trounson is) an accomplished scientist, businessman, and advocate - a diverse set of skills which will be critical for such a challenging post. Of course, the most important skill - the ability to juggle the numerous strong personalities and interests on the agency's board - is less visible from a CV." Reynolds touched on the flap a few years ago involving Trounson and the rat video. "As an advocate, Trounson got himself into hot water five years ago by misrepresenting the progress of embryonic stem cell research before the Australian Parliament. He showed MPs a video of a paralyzed rat that regained mobility after an injection of what he claimed were human embryonic stem cells. In fact, it had been treated with germ cells taken from a human embryo after 5 to 9 weeks of development. This caught the attention of the Prime Minister, who called Trounson's statements "very untidy" and ordered a review of a US$ 24 million grant. But when actual limits on the practice are at stake, Trounson has changed his tune. During debates at the United Nations on a global ban on human cloning, he said that "the benefits of therapeutic cloning are really quite enormous." And when Australia was reviewing its three-year moratorium on research cloning, Trounson said, "This is really something that we can't ignore.... I think it's terribly important to make disease-specific stem cells. A lot of people think that we will see things happening to those cells that we wouldn't be able to predict if we're looking at patients with the full expression of the disease." "Mr. Klein and Professor Trounson predicted their partnership would speed up the delivery of therapies from the laboratory to the clinic. Wired.com carried a story today by this writer on the appointment of Alan Trounson as the new president of the California stem cell agency. It included a portion of a response that we received from Jeff Sheehy, a member of the CIRM Oversight Committee, in response to questions concerning the presidential search process, whether many members of the ICOC had met face-to-face with Trounson and whether Trounson had been among the candidates from the very beginning. "Not sure if you mean the very, very beginning--I wasn't on Presidential search sub-com at that point, so I don't know the candidates who were in that mix. Many members of the ICOC have met him face to face, both through this process and also through other occasions, ie, as a fellow scientist at conferences or some other occasion/s in the past. Bob has met him, again, I don't have all of the details---though personally, I believe that his recent trip to the ISSCR conference in Australia played an essential and probably decisive role in this stellar recruitment. As for the process, I had felt that it would not be possible to find a candidate that fulfilled everyone's expectations. After the first interview, I was frankly stunned and delighted to realize that Dr. Trounson would either meet or exceed almost every expectation that we individually had for a candidate for this position--a world renowned stem cell researcher, significant management/administrative experience, significant private sector experience, significant translational experience, a clear well-articulated scientific vision, demonstrated leadership experience, experience with the public, media and political leaders, ability to position CIRM to realize its potential as a global engine for stem cell research and to develop and sustain the relationships with other nations' stem cell efforts in order to avoid wasteful duplication of effort and create (my least favorite word, but I don't have another) synergies between these efforts and CIRM's, and no issues around maintaining a lab. I'm sure I'm missing a couple of other points, but I think you get the gist. 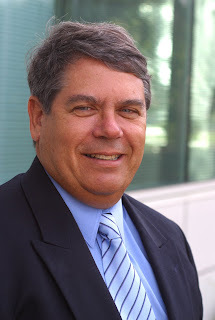 In short, we are fortunate to have him lead CIRM and I firmly believe that under his leadership, we will succeed in making a difference in the lives of patients and as Terri Somers put it in the SD Union Trib, it is a "coup" for California." The appointment of Alan Trounson to head California's $3 billion stem cell agency is triggering more reaction today, ranging from curiosity about his Australian origins to the continuing structural and management issues at the fledgling institute. "...(T)he challenges CIRM still faces are significant, and it doesn’t help that Trounson apparently won’t even start his new job until the end of the year — and even then will likely work part-time while he winds down his involvement with his Monash laboratory. With all due respect to acting president Richard Murphy, it’s still likely to be a while before CIRM gets the steady hand on the tiller it appears to need so badly. "One strength that has not been highlighted is Trounson’s potential to link US scientists with those in the Asia-Pacific region. He has been very active in efforts to found an Asian-Pacific Stem Cell Network, and quite vocal about the advantages that that region has for stem cell research. When meeting with leading stem-cell scientists from around the region in June, Trounson was emphatic in discussing the need for political champions. "Trounson also has experience working successfully in a highly politicized environment. Though largely unnoticed in the US, Australian politicians and scientists launched a successful campaign to make somatic cell nuclear transfer legal." Patient advocate Don Reed brought his unique perspective to the news in his Sept. 16 item on www.stemcellbattles.com, including how the announcement looked from a teleconference perspective. Reed noted that Trounson disclosed, in response to a question, that his Australian ancestors arrived there as a result of the British judicial system. Trounson said "he was descended from a convict, who had been jailed because of two overdue library books—and that he had inherited his ancestor’s love of learning. (see editor's note below)"
Larry Ebert, writing on his Ipbiz blog, has a discussion of patent and WARF issues related to Trounson. For those of you interested in the prurient details of this blog and its author, you can read more about them on Wired.com today. See the story headlined "Stem-Cell Blogger Tells Ups and Downs of Connecting From Sailboat." Reporter Andrew Pollack cited CIRM board members as the source for the assessment. Here is Pollack's story. "It doesn't get bigger than this." The Foundation for Taxpayer and Consumers Right is a longtime observer of and participant in California stem cell issues. John M. Simpson is the organizations's stem cell project director. We asked him today for his reaction to the appointment of Alan Trounson as the new president of CIRM. Here is Simpson's statement verbatim. Alan Trounson is one of the scientists we sought to support our challenge of the the human embryonic stem cell patents held by WARF. He in fact filed a statement to the PTO on our behalf. He agrees with our view that the work done by Jamie Thomson was important and laudable, but not patentable because it was "obvious" to those in the field based on prior research. Trounson is a stem cell scientist with a worldwide reputation for excellence. I hold him in the highest regard. He has experience in both basic research and translational research -- moving discoveries in the lab to actual cures. Trounson has expressed his willingness to turn away from his laboratory and take the helm at CIRM fulltime. He also will divest himself of any investments in stem cell companies. Both steps are necessary. I believe Trounson can make a major contribution to CIRM, California and stem cell research in general as president, so long as he never forgets his responsibility and accountability as a public official to the citizens of California. If needed, FTCR will remind him of those duties. The resume of Alan Trounson, the new president of the $3 billion California stem cell agency, is 70 pages long and you can find it here. Here is a document from CIRM on his management experience. Alan Trounson, just named as president of the California stem cell, agency, has said he will divest any interests he has in stem cell companies. Here is a list of companies that Trounson founded. The list was provided by CIRM. - The company was founded by Robert Moses (foundation CEO), Vicki Baldwin, David Beams and Trounson in 1984 as IVF Australia Inc/ then IVF America Inc, initiating new IVF clinical services and for provision of services in women's health care and physician practice. The management company focuses on infertility and assisted reproductive technology. Raised $20mill as public float on NYSE. Present market cap ~ $80mill. Services provided to clinics nationally across the US and is one of the largest providers in the US. Trounson and Pera at Monash, Reubinoff at Hadassa Medical Center, Jerusalem and Bongso at National University of Singapore. The company focused their commercial interests under Alan Coleman (CEO) for ESCs and diabetes (funding Drs Elefanty and Stanley in Trounson’s Centre) and ESCs and cardiac therapy (funding Dr Christine Mummery, Utrecht, Holland). Trounson and his wife exited all shareholdings in ESI Pte in 2002 to avoid conflict of interest of management with the award of the National Stem Cell Center. Maccine was founded by Trounson in 2002 with Australian investors to provide primate discovery support services to Pharmaceutical and Biotechnology companies worldwide. The initial facilities were based at the Primate Research Center in Bogor, Indonesia and was moved to Bin Tan Island under Singapore lease to develop a new state of the art primate center to service Singapore and world commercial interests. The Singapore Development Corporation now has the majority ownership and the Australian parent company (Trounson – Chairman of Board) is being dissolved. The business involves the development of primate efficacy models in various therapeutic areas (e.g. cognition, diabetes, cardiovascular, pain, oncology); pharmacokinetic screening and ranking; and early toxicokinetic evaluation of candidate drugs for use in human medicine. CopyRat is a spinout company from Monash University founded by Trounson in 2001 that was developing novel gene-targeting and stem cell technology in the rat in order to supply Knockout animals as models for human diseases. IngenKO was a subsidiary of CopyRat Pty Ltd, a company formed in 2002 by Drs Hertzog and Trounson that aimed to become a world leading supplier of mouse and rat models of human disease to the biomedical industry. The investment was limited to $4mill by local Melbourne investors and despite limited cash flow from providing mouse Knockout and Knock in services to non-profit organizations and biotech companies, Monash University decided to close the merged company in 2005 because of the limited capital available. The California stem cell agency released the following statement from its new permanent President, Alan Trounson. The art of delivery of new developments in science and medicine, in my experience, has been dependent on creating partnerships with others with expertise in a different discipline. A shared vision then provides for a working relationship where the partners invest their expertise in achieving the potential outcome. 1.In vitro fertilization and associated technologies Trounson (scientist) and Dr. Carl Wood (clinician). Wood was a man of extraordinary vision and lateral thinking who provided the clinical platform for the embryology developed in basic research by Trounson and colleagues. There are now >4 million IVF children in the world as a consequence of this partnership and others. 2. The Institute of Reproduction and Development (IRD) Trounson (female reproduction and development – Deputy Director) and Dr. David de Kretser (male infertility expert – Director) came together as a partnership to develop a new Institute of Reproduction and Development at Monash University by fusing their research groups – Centre for Early Human Development (Trounson) and Andrology research group (de Kretser) in 1990. The IRD was the first research only institute at Monash University and rose quickly to international prominence as the world leading research institute in human reproduction, with more than 350 scientists by 2001. de Kretser was appointed Governor of Victoria in 2006 and Trounson left to establish the National (Australian) Stem Cell Centre in 2002. 3.The Australian Stem Cell Centre (ASCC) Trounson (scientist), Robert Moses (biotechnology business) and Dianna DeVore (patent attorney and molecular geneticist) joined in a partnership to win the Australian Biotechnology Centre of Excellence from all other disciplines in biotechnology. The ASCC was initiated with a grant of A$54 million for 3 years, followed by another tranche of A$54 million to carry through to 2011. Moses was made foundation Chairman of the Board, Trounson CEO and DeVore COO. 4. Embryonic Stem Cells Trounson (embryologist) and Martin Pera (embryonal carcinoma specialist from Oxford) joined together in a partnership at the IRD to develop human embryonic stem cells. They were successful, producing these cells in the late 1990s and led the new science of directing differentiation of these extremely interesting cells into the neuronal and other lineages. 5. Monash Immunology and Stem Cell Laboratories Trounson (stem cell biologist - Director) and Richard Boyd (thymic immunologist – Deputy Director) joined together to form a new research centre at Monash University – Monash Immunology and Stem Cell Laboratories. The two disciplines of stem cells and immunology created a unique focus for the delivery of stem cell technologies. Regulating the immune system is critical for delivery of allogenic cell therapies, and embryonic stem cells are being developed to reprogram tolerance and autoimmunity for transplantation and regenerative medicine. Partnership with the ICOC offers a unique mechanism for integrating key stakeholders from academic research, industry and advocacy in the discovery and development processes as we move toward therapies. The initiative (Prop 71) creates a participatory partnership between the leadership of the President of the CIRM and the governing board; the board represents a high-value spectrum of knowledge in medical research, patient advocacy and biotech experience that the President can draw upon in advancing the mission. Klein, the visionary financier and designer of innovative systems, Chair of the governing board, and Trounson will form a partnership to deliver the incredible opportunity of cell therapies for regenerative medicine. Together they have the financial, political and scientific capacity to take the well prepared CIRM strategy to the desired outcomes in the clinic efficiently and effectively. The partnership provides the further opportunity to engage nationally and internationally with other leading groups in stem cell science to avoid duplication of effort and to hasten clinical applications. California's $3 billion stem cell institute has found a new president, eminent Australian scientist Alan Trounson who is giving up his research to immigrate to California and oversee the world's largest single source of funding for embryonic stem cell research. "It's a surprise move to have someone of his prominence in this role. This is a recognition of the incredible impact the California initiative has had. He's voting with his feet." California stem cell chairman Robert Klein, who headed the presidential search, was obviously pleased by the move. He cited Trounson's "global vision." The California Institute for Regenerative Medicine had been operating on lame duck status since last December, when former President Zach Hall announced he was going to retire. Early in August, the CIRM Oversight Committee named Richard Murphy, former president of the Salk Institute, as interim president. Media reports indicated that Trounson hoped to begin work in San Francisco by the end of the year, but has not worked out all the visa requirements. Trounson will be paid either $490,000 or $475,000 annually depending on whether the state picks up his moving expenses. The salary is a substantial increase over the previous cap of $412,500 on the president's salary. Trounson is also giving up any investments in stem cell companies. Mary Engel of the Los Angeles Times said he will be able to work part-time on a pro-rated salary for up to six months as he closes his laboratory. Reporter Terri Somers of the San Diego Union-Tribune wrote that the appointment is "viewed as a coup for California's ground-breaking institute because of his research resume, his entrepreneurial and management abilities and his experience navigating Australia's rocky political climate on human embryonic stem cell research." "'I have great respect for Alan as a scientific colleague and a deeply ethical and moral individual who will provide great leadership to the CIRM in coming years,' said Larry Goldstein, an embryonic stem cell researcher at the University of California San Diego who has collaborated with Trounson." The Los Angeles Times' Engel quoted John Simpson of the Foundation for Taxpayer and Consumers Right as saying, "This is an excellent move. I am wonderfully impressed and completely surprised." "As well as founding the Australian Stem Cell Centre at Monash University in 2003, Trounson has founded or co-founded eight companies. Among those companies is globally recognized Embryonic Stem Cells International in Singapore. "Started in 2000 with angel investor money and investment from Singapore's research-loving government, Embryonic Stem Cells International holds the commercial rights and intellectual property to the initial six embryonic stem cell lines developed by the founders, who include Ariff Bongso, a Singapore IVF specialist considered to be a pioneer in deriving stem cells from human embryos." "It's obviously a tremendous personal opportunity and honour, but it is also a sign of the high regard in which Australian research organisations and scientists are held internationally in stem cell research. "This is a research field in which our achievements are world class - I see myself as an ambassador for all Australian medical researchers." Trounson surfaced in American media earlier this year in support of challenges to stem cell patents held by the Wisconsin Alumni Research Organization. "Trounson's career has not been free of controversy. He was criticized in 2002 after showing Australian legislators -- who were voting to legalize embryonic stem cell research -- a video of a rat that he said had been cured of paralysis using embryonic stem cells. It turned out that the rat had been given slightly older cells called foetal germ cells. "Trounson said Friday that he had apologized to the parliament and learned "a very valuable lesson about ensuring precision in what you say to people." The article spoke of the "strange beast," the nexus of forces and an organization like no other. But topic No. 1 was the ongoing search for a new permanent president for the California stem cell agency. Monya Baker, news editor for Nature Reports Stem Cell, explored the effort in a piece that appeared online. She began by describing CIRM as a "strange beast" and quoted one observer as likening it to a two-headed monster. Here are some excerpts from Baker's article. "'Failed searches happen all the time,' she says. Without a clear consensus about what they are looking for, she continues, a board could go through a search three or four times, each ending in disappointment." "Board member Jeff Sheehy, an AIDS patient advocate, thinks experts with an industry background might be most adept at transforming research into therapies. 'My pill bottles don't say UCSF,' he explains. 'Someone from the foundation world or the business community might be an interesting choice.'" Baker quoted Hamilton Moses, a biomedical consultant in Virginia who focuses on non-profit governance. "'CIRM operates at the nexus of the Political (with a capital P), scientific, institutional, and business forces of an aggressive state that views economic development as a priority.' Its organization, he adds, doesn't help. 'Noah's Ark' boards, where each member is appointed to represent a constituency, rarely work.'" 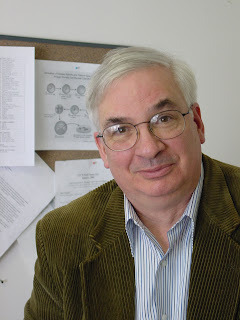 "'This is mainly a skilled management job, requiring wisdom, scientific expertise, and a good list of known contacts to go to for advice and help, but not necessarily a background in medicine or stem cells,' says Bruce Alberts at the University of California, San Francisco, who served two six-year terms as president of the US National Academy of Sciences. Management jobs require many tasks that scientists find boring, adds (Tom) Cech, (president of the Howard Hughes Medical Institute). Only someone with tremendous skills at working with diverse groups of people could thrive in this job." She quoted California stem cell chairman Robert Klein as saying that none of the presidential candidates has cited the board's or his own role as an obstacle. Baker also interviewed interim CIRM President Richard Murphy, who said that CIRM's governance structure is sound. "...(T)he diversity of the board is an asset, he says; basic scientists who value 'curiosity-driven research' and patient advocates intent on clinical progress have much to teach each other. The trick, he says, is establishing mechanisms so groups work together. '''I bring that experience, an understanding of how the board can interact effectively with the institution.'" She pointed out that the Salk Institute, which Murphy left in July, had four presidents in four years before he joined the organization in 2000. "But if there is one thing people agree on, it is that CIRM is an organization like no other. 'CIRM represents an experiment,' says Moses. 'It is too soon to know whether it will be successful.'" Preliminary plans for an innovative research effort that could possibly even involve scientists from outside California will be aired publicly at a meeting next Wednesday of the Grants Working Group of the California stem call agency. The Disease Team initiative is part of CIRM's strategic plan, which was approved last year. That document said the initiative is designed to organize "the highest quality basic, translational and clinical research with the specific aim of producing a therapy for a particular disease or group of diseases whose research is poised for development of therapies." The plan said out-of-state activities could be included if funding were available from other sources. The initial grants would total about $100,000 each and go for one-year planning efforts. Later grants would run as high as $20 million over eight years. Total size of the program is estimated at $122 million. The efficacy of magic or not-so-magic cures – particularly new ones and their costs -- came under scrutiny in a recent article in the Wall Street Journal called "The War on (Expensive) Drugs." The opinion piece has relevance to California's grand experiment in scientific research with its promise of finding cures through embryonic stem cells. The expected costs of those cures, funded in part – perhaps a crucial part – by California taxpayers, have already generated concerns that they will not be available to many Californians. Scott Gottlieb, physician and fellow at the American Enterprise Institute as well as a former senior official at the FDA and Medicare, wrote the WSJ article, which focuses on a Congressional proposal "to spend more than $300 million to establish a new federal 'Center for Comparative Effectiveness' to conduct government-run studies of the economic considerations that go into drug choices." Gottlieb is critical of the processes involved in what he says are politically popular studies "that pit expensive new medicines against older, cheaper alternatives with the aim of cutting health-care spending." But he also shines some light on the lack of transparency in science and medicine as well as methodologies that seem to be driven by desires for a certain result. Gottlieb deals with three well-known studies that have been subject to considerable attention: The $725 million Women's Health Initiative, the $135 million Antihypertensive and Lipid-Lowering Treatment to Prevent Heart Attack Trial (Allhat)and the $40 million Clinical Antipsychotic Trials in Intervention Effectiveness (Catie) trial. "Like the Women's Health Initiative, bottom-line data from Allhat and Catie were subject to parochial secrecy. Catie's complete safety data are only being released this September, almost four years after the study was completed. Moreover, the drugs involved in these studies were for conditions where one expects a great deal of individual variation in how people might respond. The studies didn't take measure of that. "Now the government is sponsoring a poorly designed trial to test whether Avastin, a drug that is meant for injection into the veins to treat cancer, can also -- when injected directly into the eye -- treat macular degeneration, a leading cause of blindness. Never mind that Avastin's manufacturer, Genentech, developed a completely new drug called Lucentis, which is specifically designed to be injected into the eye and is better adapted to treat blindness. "Since a single cancer infusion of Avastin contains a large volume of the drug, breaking that same dose down into the small aliquots needed for the eye injections is literally pennies on the dollar, making the government's study of it -- when it was clearly not designed for eye treatments -- a matter of cost containment. Surely if Avastin ends up harming those eyes -- a plausible consequence of this off-label, if not illegally 'compounded' use -- it won't be Uncle Sam on the hook with product liability lawyers, but Genentech. "Not all government-funded studies have speckled histories. Many uncover significant advances. Problems arise when the government pursues studies to achieve its own economic goals, where political motivations seem to intrude on the design and conduct of the trials and bias not only how results are interpreted, but more especially, how they are reported." "It seems to us, the solution is clear. Government-funded research and interpretation need to be fully open for critical peer review by independent and stakeholder experts from any sector (including manufacturers) at all stages of the process. Similarly, funded research by private industry would be well advised to follow suit. Then, perhaps, we would have less rancor and better supportable scientific evidence for informing clinical and public policy and the health and well being of the public would be better served." By many measures, the $20 million gift to UCLA this week brought major media attention to the stem cell research efforts in the Golden State. The size of the gift by Eli Broad, the presence of Gov. Arnold Schwarzenegger and a set-up story Monday morning in the Los Angeles Times all drove the coverage. But so what? Who cares about PR, right? But when 55 percent of the public nationally says it has little or no knowledge of stem cell research, the field still needs major help. And Monday's event was a chance to tell a positive tale – one that did not involve warnings of expensive therapies, dubious results or even research fraud. To give you an idea of the sweep of the attention, a Google Web search on the term "UCLA stem cell million broad" generated 244,000 hits this afternoon. That compared to 487,000 for "CIRM" alone. But the institute has been around for nearly three years, and it is naturally going to generate more response. The number of hits on the UCLA/Broad story is likely to climb in coming weeks as other outlets and Web sites pick it up. The story ran internationally and on television and radio, which are the prime sources of news for most people. Newspapers and the Internet remain a secondary source. "...featured Monday and Tuesday by the Associated Press, Los Angeles Daily News, City News Service, KNBC-TV, KCBS-TV, KABC-TV, KCAL 9 News, KTTV-TV, KTLA, Bloomberg News, KPCC 98.3 FM, KNX 1070 AM, KFI 640 AM, Telemundo 54, Univision, Chinese Daily News, Sing Tao Newspaper and LA Channel 18. "Dr. Owen Witte, director of the Eli and Edythe Broad Center of Regenerative Medicine and Stem Cell Research at UCLA, was quoted in English language outlets. Stem cell researcher Luisa Iruela-Arispe, professor and vice-chairman of molecular, cellular and developmental biology, was quoted in Spanish language outlets. Stem cell researchers Yi Sun and Dr. Andy Huang are quoted in Chinese language outlets. "The AP story also appeared in the International Herald Tribune, Houston Chronicle, San Jose Mercury News, Pravda, Press-Enterprise, Enterprise Record (CA), Contra Costa Times, Monterey County Herald, San Jose Mercury News, San Luis Obispo Tribune and the Daily Breeze. "The Los Angeles Daily News story also appeared in the San Gabriel Valley Tribune, Whittier Daily, Pasadena Star News, Inland Valley Daily Bulletin, San Bernardino Sun and the Long Beach Press Telegram. The Los Angeles Times today ran a photo of Gov. 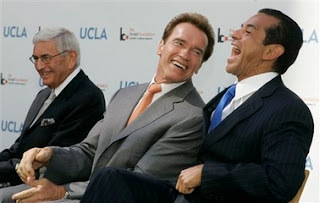 Arnold Schwarzenegger at UCLA announcing the gift." One story helped particularly to drive the coverage, a Los Angeles Times article on Monday morning ahead of the actual event(see item below). The piece put the gift in the broader perspective of stem cell research growth in California, declaring that the donation and others recently "position California universities at the forefront of the promising scientific field." That type of buildup helps to focus the attention of harried TV and radio assignment editors and helps to convince them to give a story major play. The governor's office announced last Friday that a news event would occur involving the gift, but the size was not disclosed until Monday's story in the Times, which appeared to have it exclusively. Crafty media relations people sometimes provide such key information to an influential news outlet such as the Times in advance of an actual event to help drive coverage media. We do not know whether that occurred in this case, but it is probably a good bet. Adding frosting to this stem cell cake was the use of researchers who could speak in languages other than English, which is important in a diverse state such as California, but very important as well for international coverage. UCLA will receive $20 million from philanthropist Eli Broad for embryonic stem cell research, the "latest in a series of large gifts that position California universities at the forefront of the promising scientific field," the Los Angeles Times said today. "California universities have landed large donations to build new labs and begin their research. In May 2006, UC San Francisco received a $16-million donation. Two months later, UC Irvine landed a $10-million gift from Newport Beach fund manager Bill Gross and his wife, Sue. Stanford University has received gifts of $20 million and $33 million for research and construction." "California, in my mind, will without a doubt be the leader in North American stem cell research as a result of Proposition 71 and the great research universities we have." Sometimes directors of the $3 billion California stem cell agency worry that they are imposing too many restrictions on future grants to the biotech companies that will be the key to turning research into therapies. Now comes a report that a number of companies "seem willing to do whatever they must to qualify for state grants." They, in fact, are not looking down their noses at the largess to be disbursed from CIRM. Reporter Terri Somers of the San Diego Union-Tribune reported on the business response that came out of a CIRM informational meeting Friday that was designed to shape state policy on the qualifications and criteria for companies that receive stem cell grants from the state. "The response yesterday to the institute's questions was a surprise to the institute staff. "Representatives from the biotechnology industry said they only need to tweak the (intellectual property) policy to make it work for companies. "For instance, the companies don't want to publicly disclose competitive information, such as what percentage of royalties they receive for licensing out their discoveries or the amount of their product sales. "Industry representatives said they also are concerned about how the state defines money for research and money for goods and services. Currently, Proposition 71, the voter initiative that created the stem cell institute, requires all the research it funds to be conducted in California. Goods and services bought with state funds do not necessarily have to come from California. "If clinical trials are defined as a 'research' expense, rather than 'goods and services,' it could be a problem, company executives said. "For speed, efficacy and even savings, companies often conduct clinical trials worldwide in order to get quick enrollment and a diversity of participants." The response from the companies seems strikingly different than earlier, more hostile reactions from the California Healthcare Institute, which says it represents the biomedical industry in California. However, the reaction was not too surprising to those who attended the Burrill stem cell meeting in San Francisco last spring. A CHI representative appeared on a panel with several representatives of stem cell companies, who did not echo the lobbying group's more strident position. Declining Support for Stem Cell Research –- The Pew Forum for Religion and Public Life has released a public opinion poll that shows weakening support for stem cell research, dropping from 57 percent two years ago to 51 percent in August this year. It also showed that 55 percent of the public had heard little or nothing about stem cell research. The polling question involving support used the phrasing "destroying potential life." The results certainly would have been more negative if the word "potential" had been omitted. "Destroying life" is how many opponents view the issue. The "take-home" point? Support for human embryonic stem cell research is fragile and can easily be undermined by events ranging from a dubious experiment or result or perceived misconduct by those funding stem cell research. ISSCR and Farmland –- Jesse Reynolds of the Center for Genetics and Society comments critically on the involvement of the International Society for Stem Cell Research in a land development proposal that also proposes the creation of a stem cell research nonprofit. You can read it here. Stem Cells After Bush -- Lawrence Goldstein, director of stem cell research at the University of California at San Diego, was quoted on CNN Money.com concerning the future of federal funding for stem cell research after Bush. He said. "Personally, I think it's a mistake for the scientific community to assume anything about what the likely policy will be of a government that doesn't yet exist." He also said, "I would not build a business plan based on the assumption there will be federal funding for stem cell research." The article largely covered the perspective from business on stem cell research. The upcoming sale of California state bonds for its unprecedented stem cell research effort raises anew a $700 million question along with allegations of deceit in the campaign for Prop. 71, the measure that created the Golden State program. On the surface, the matters involve an arcane financial issue. Can California sell non-taxable bonds to finance the activities of CIRM or must they be taxable. If they are taxable (meaning the dividends are taxable to buyers), the state will have to offer a higher interest rate to purchasers. That, according to one estimate, could mean as much as $700 million in additional costs to the state. Such additional potential costs did not surface in the 2004 campaign. At the time, interest costs to the state were reported as $3 billion, rather than as much as $3.7 billion. Those amounts would be needed to borrow the $3 billion for the grants for stem cell research. Nearly a year after Prop. 71 passed, reporter Bernadette Tansey of the San Francisco Chronicle wrote that California stem cell chairman Robert Klein knew before the election that taxable bonds might be needed but did not disclose the matter to the public. Klein was leading the effort on behalf of Prop. 71. What triggers the use of taxable bonds is CIRM's requirement that royalties be paid to the state if state-funded research generates a significant amount of income. "The potential problems have to do with a complex and unsettled question: how federal tax law will apply to a novel state research venture, supported by tax-exempt bonds, that involves a state split of private profits. "But IRS rules largely forbid the states to use tax-exempt bonds to benefit specific private enterprises rather than serving a general public good -- and to share revenue from an enterprise to the extent that the state becomes like a business partner." 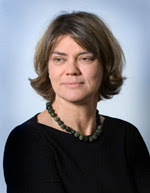 The issue of taxability was nearly invisible prior to Tansey's article, which subsequently generated allegations of bait-and-switch tactics and statements that Klein had a moral responsibility to be more forthright about the matter. "The integrity of Prop. 71 is at stake in the royalty(taxable bond) debate. During the campaign, advocates of Prop. 71 mentioned royalties repeatedly, with Klein touting it on the PBS NewsHour with Jim Lehrer. This wasn't by accident. California was in the midst of a budget crisis, so Klein needed to create the impression - no matter how tenuous - that Californians would get some direct return on their investment." Leavenworth described the conduct during the campaign at best misleading. "At worst, it was a cynical ruse," he wrote. We queried both CIRM and the office of state Treasurer Bill Lockyer, which issues the bonds, concerning whether future stem cell bonds would be taxable. "Bonds have never been used before to fund research, and so we want to be certain that the Prop 71 offerings are eligible for tax-exempt status. (See, for example, the transcript of the 11/05 IP task force meeting beginning at page 19 (http://www.cirm.ca.gov/transcripts/pdf/2005/11-22-05.pdf)) The Treasurer's office assumes that they'll qualify, but will be seeking guidance from the IRS to be sure. In the meantime, this first offering will be taxable." "We want to complete the initial sale ASAP so we can pay back the bridge financing provided by the state General Fund and private foundations. At this point, however, we do not have an IRS determination that we can sell stem cell bonds as tax-exempt. So, we will issue this initial $250 as taxable. Then we hope to get a formal determination from the IRS that establishes the extent to which we can issue tax-exempt stem cell bonds. Once we get that ruling, we can refinance the $250 million as tax-exempt, thus cutting taxpayers' costs. Our long-term intent is to sell as much as possible of the $3 billion as tax-exempt, consistent with the IRS determination." CIRM presumably could eliminate the cost of the added interest by withdrawing requirements that royalties be paid. However, that is extremely unlikely. Meanwhile, the IRS opinion could be some time in coming.